I have two pictures here. One picture shows gate is full open. The other picture shows gate is closed. 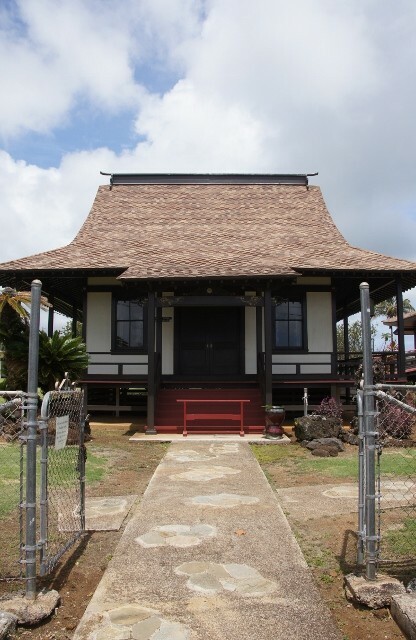 Which picture do you think is better to attract more people to Koloa Jodo Mission? 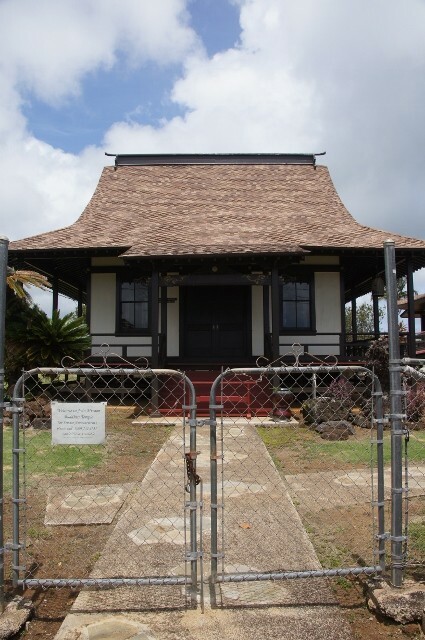 According to my experience, when the gate is full open, visitors seldom ask me guided tour. They come here because the gate is open. They take pictures of the temple and they leave. They are pretty satisfied with self-guided tour. And because they don’t stay longer, I have little chance to see and talk to them. On the other hand, when the gate is closed, some people ask me guided tour. 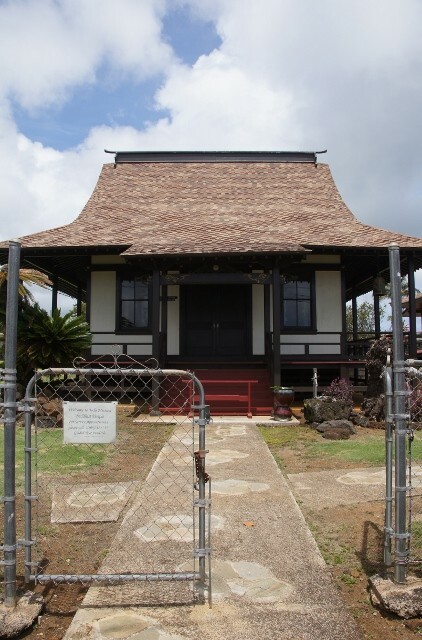 Because the gate is closed, they need to contact me in order to see the temple inside. Thus I was able to meet the ones who really interested in Buddhism. When I talked about this at Sunday Service last April, uncle Mo suggested, “I thought Middle path was the best. How about half open, half closed?” I thought this was a very good idea. Since then, our gate has been mostly half open and half closed. But now, I'm thinking to change it again because I want more people to come to our temple. It's true middle way is the best, but I need to experience to have more people. To update my blog at my own pace which is middle way is good for me, but I will never ever get more readers. If I want to have more readers, all I need to do is....to keep providing more information. The more frequently and the better information, then more people could come to this website. So the idea of "more" is very important.....until I get enough. Buddhism teaches us "To know your sartisfaction and the less you desire are the way to happiness." It's so true. But in order to know this is true, I think one needs to experience to desire more.